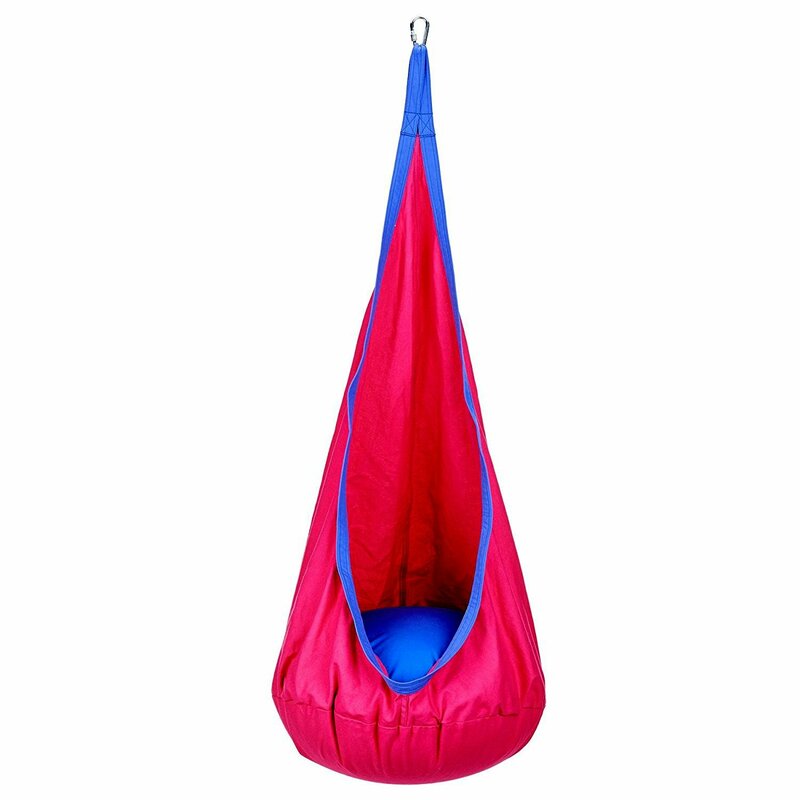 A kids hammock chair pod is a great choice when you want something for kids or grandkids to play with, that is a bit different from the usual swings and sandboxes. You know how small children can get a bit tetchy when they’ve played a lot and are getting tired? 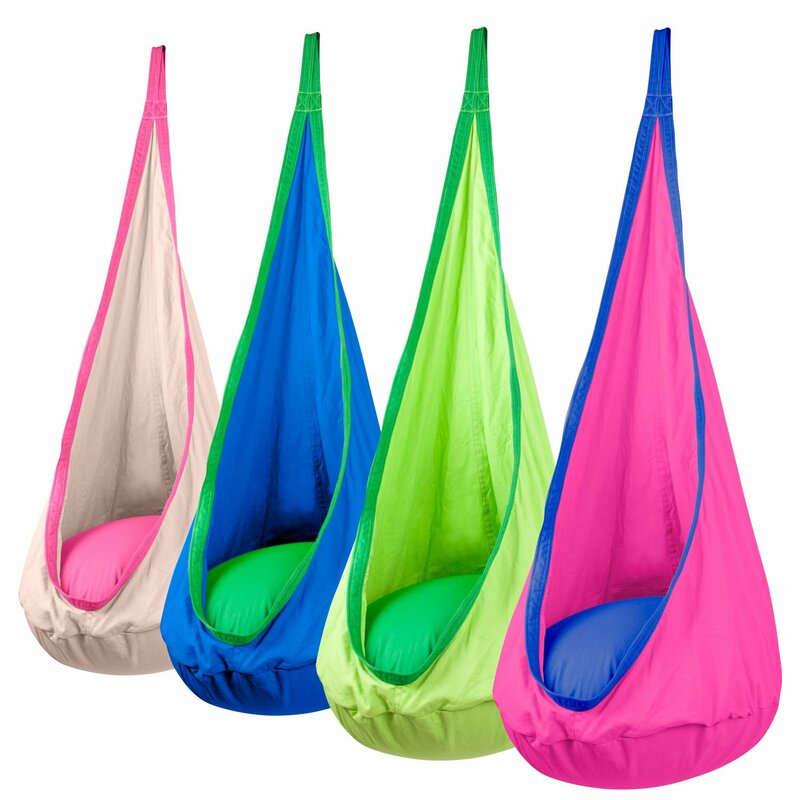 Well, you let them sit in a suspended nook chair like these, and they’ll chill nicely! They’re colorful - which kids like - and they swing. Most of them will also spin if you twist them round a few times. They can be used indoors as well as outside, and are easy to install. Of course, if more than one child is around they may want to have one each. You can get two kids in a pod depending on their size and weight, but often they’ll just want to be in a pod on their own. 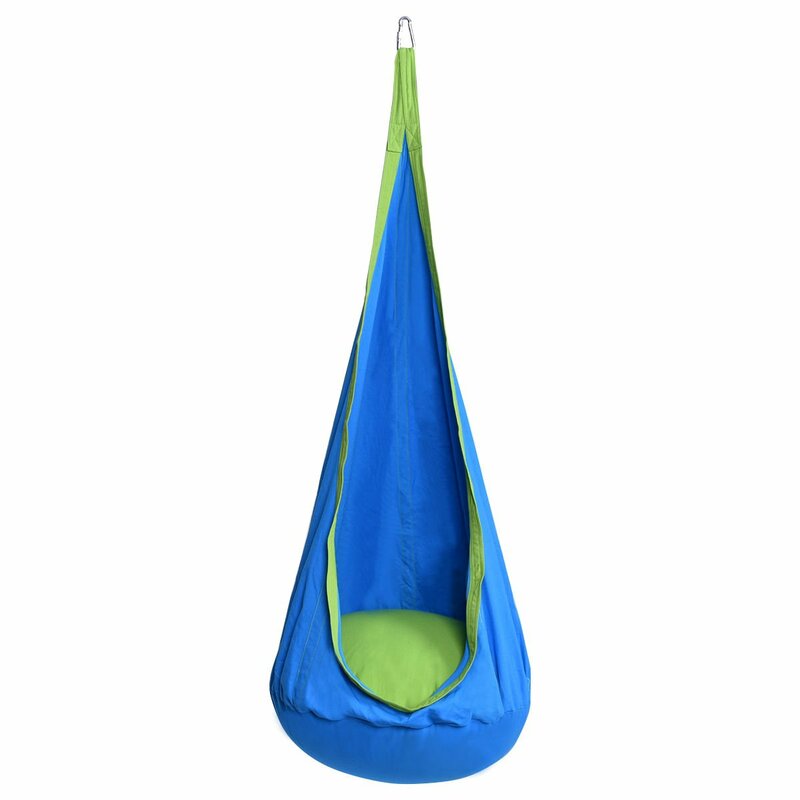 These hanging chairs can have a calming sense over some kids, and make it easier for them to relax. They can read inside the pod, listen to some tunes, snooze even! 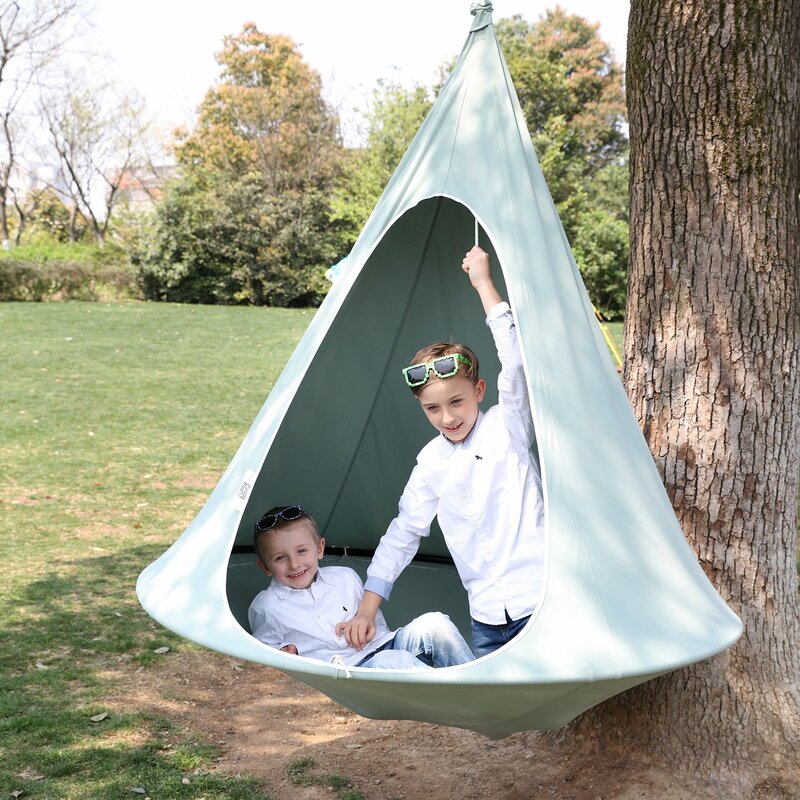 We thought these hanging swing chair tent nooks would be just right to keep the grandkids amused, and eventually bought ourselves a couple of the larger versions as well. They do add a nice splash of color to the backyard and keep kids quiet (not always!) and amused. Strong cotton ropes 9mm thick. Includes two pillows - back and seat. Weight capacity is up to 250 pounds. Available in colors: Orange Green, Blue and Rose. Weight capacity up to 176 pounds. Comes with locking carabiner clip, but you'll need to provide your own mounting hardware depending on where you want to use it. Colors: white (light pink), red, pink, green and blue. Maximum carry weight is 176 pounds. Capable of weight up to 176 pounds. 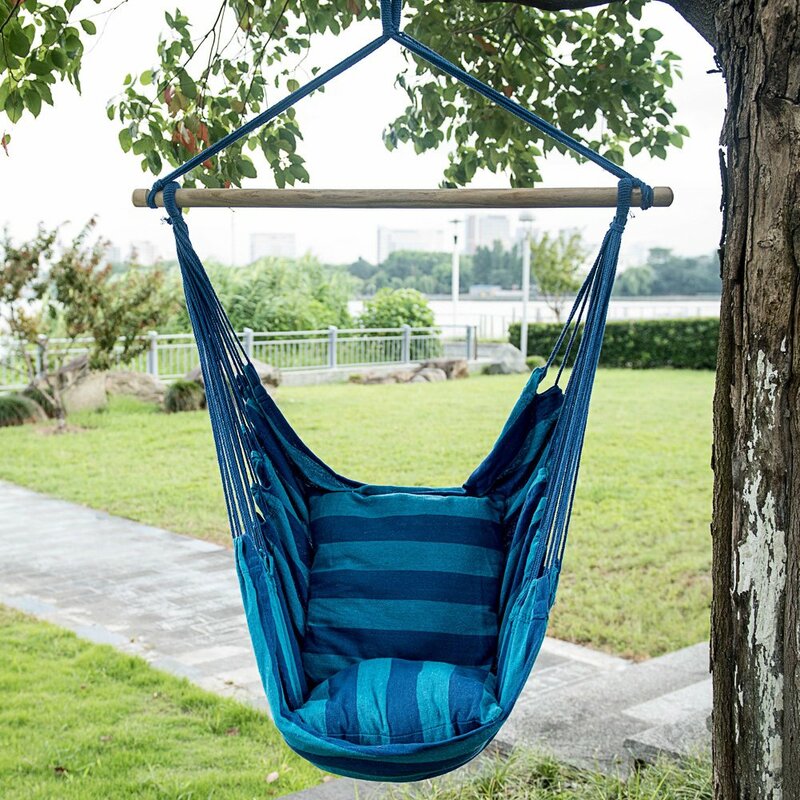 Hammock includes an inflatable cushion, nylon rope, hook, mounting bracket and case. Seat cushion diameter: 27.6" / hammock length 59 ". Machine washable - made from a weather-resistant Polyester/Cotton mix. Weight Capacity up to 400 pounds - that's an adult or 2/3 small children. Pod includes 6 metal cylinders that form hammock shape, 13.5 feet rope, carabiner hook and carry bag. Made with waterproof 100% polyster oxford fabric.